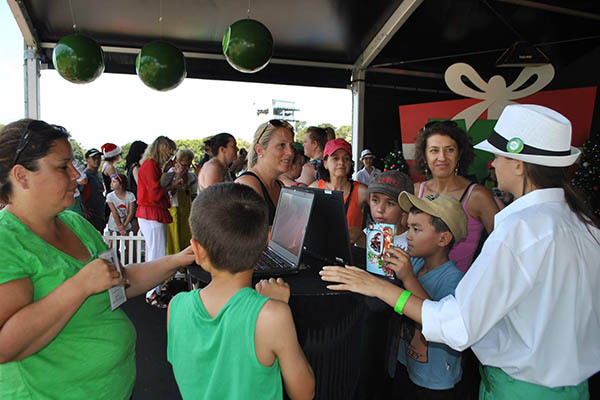 Carols in the Domain is a special event for families in Sydney. Airwick wanted to ensure that they gave guests a lasting memory of the event that they could share with their friends on social media. We provided two of our favourite products: NOW|GREEN SCREEN and NOW|CAM, as well as enabling photos to appear on a big screen. The Airwick area included two giant green screens with Christmas trees everywhere. Guests were entertained by Airwick ambassadors as they waited for their photo experience. We provided four fun and creative green screen backgrounds that appealed to both kids and grandparents alike. Guests were superimposed into a snow globe, classic Christmas, sandman or sleigh ride background with a touch of NowCrowd technology. Not 1,2 or 3 but 6 photographers and BA teams roamed through the crowds and captured each group's photo. Each group was given a ticket, so they could find and share their photo online. The Airwick Christmas branding was applied to each photo before it was uploaded instantly onto the Airwick Facebook page. The guest's ticket directed them how to find their photo using the unique photo app either via their mobile or from their PC. 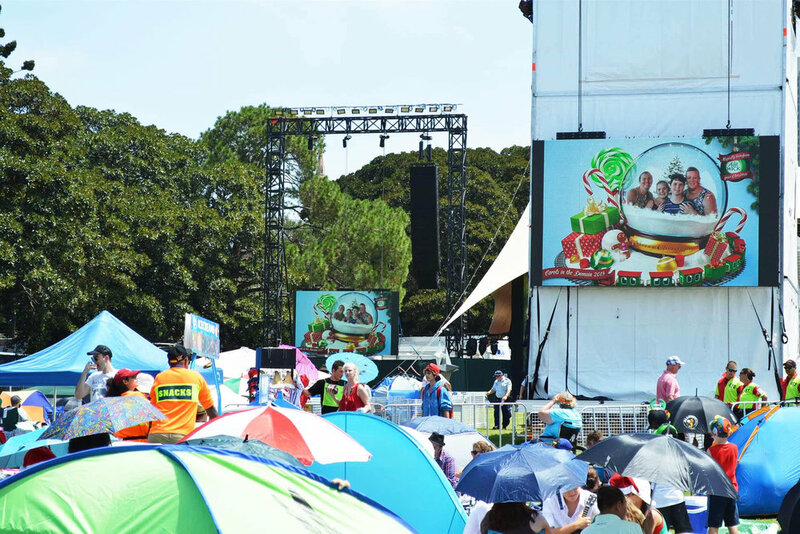 With a treble photo-social concept, we helped ensure Airwick and Carols in the Domain became synonymous with guests. Merging on-site experiences with the online world provided a perfect mix of real life fun and great social media engagement for Airwick.